Yup, another attention-grabbing headline for ya. 🙂 But I’m serious, and here’s why….my cholesterol is down! 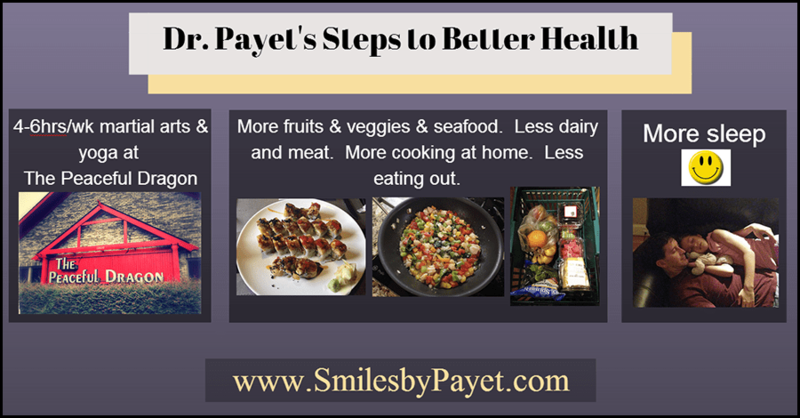 A little over a year ago, I wrote an article about how healthy teeth and healthy living go hand in hand. I had just learned that my cholesterol was alarmingly high – 242. Given that I was only 41 years old and thought that I was pretty healthy, it was definitely alarming. Since then, I’ve made big changes to my lifestyle through an improved diet, increased exercise, meditation, and more frequent time off to recharge. 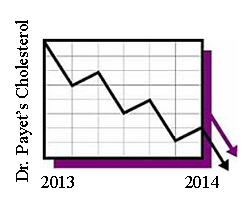 At my recent 1- year follow-up, I was rewarded with good news: while my total cholesterol only dropped to 233, my good cholesterol went up, and the bad cholesterol went down, so the overall ratio showed a solid improvement. Nor do I have a problem with GMO food; I don’t believe in chemtrails; I don’t believe in miracle cures for cancer that only some people know; I think the whole “Big Pharma” and “Big Medicine” conspiracies are full of crap. Now that I’ve surely pissed off a lot of people and will get a lot of angry comments, let’s get to the one thing that “holistic” people and I almost certainly agree on, although with some caveats: you have to eat a balanced, healthy diet to keep your body, your mind, and your mouth in optimal shape. 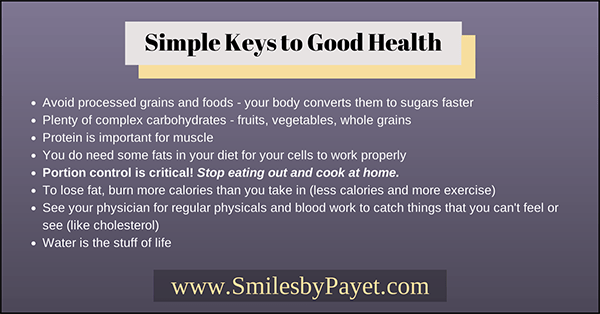 And you need to exercise regularly and get enough quality sleep. Everyone used to think that I was a healthy guy because I’m slender. At the time the doctor warned me about the cholesterol, I was anything but healthy! Irregular sleep habits, almost no exercise at all, lots of meat and dairy, lots of cookies and chips for snacks…..I was doing a LOT of things wrong. But that can change with commitment, and because I want to be around for my family a long time, I was committed. So what did I do? See? No super foods, no miracle pills, not one single product recommended by Dr. Oz (whom I despise as a quack). Some organic foods, some not. No juicing, no multi-vitamins. No diets supposedly eaten by our ancestors who grunted instead of talked, lived in caves and hunted with spears. 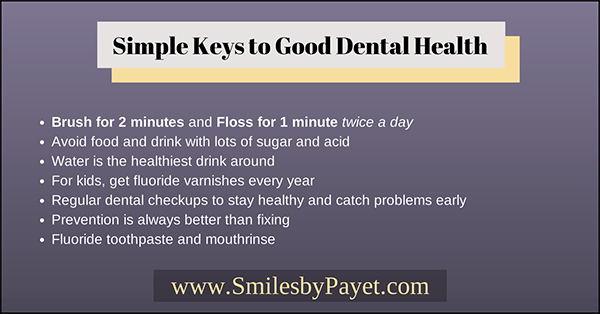 And of course, I still brush with my Sonicare, use Oxyfresh mouthrinse and toothpaste, and occasionally floss. I know, I know, the dentist doesn’t floss twice a day either, so sue me. 😛 How often do YOU floss, eh?